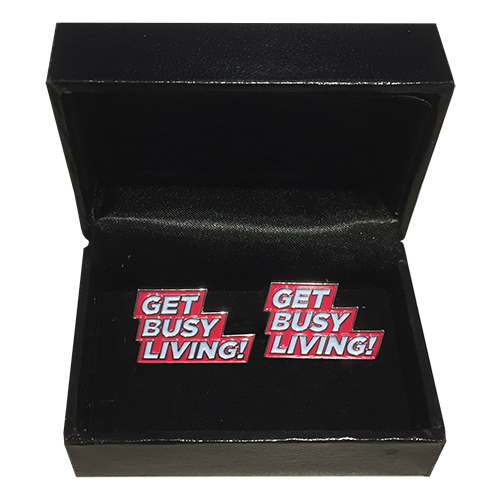 Get Busy Living cufflinks will add style to your night out whilst supporting the Matt Hampson Foundation. The cufflinks are silver plated with white enamel inset, giving a flush finsh. This is a limited edition run of only 100 pairs, each pair comes in it's own presentation case.